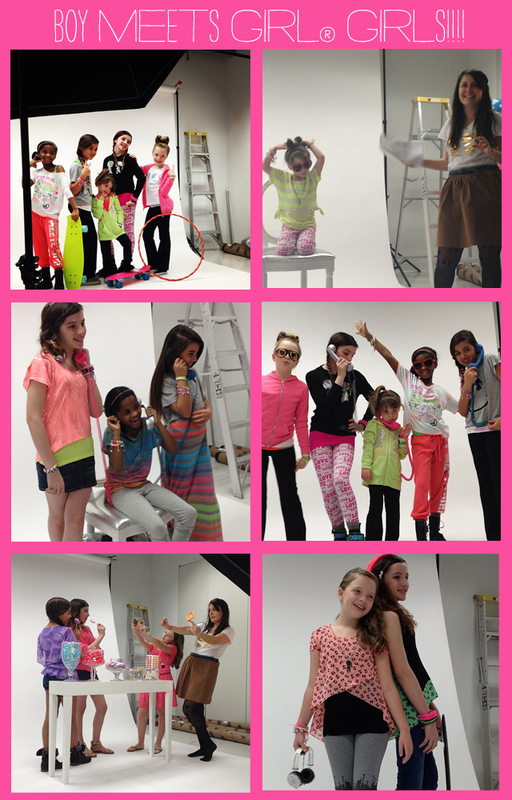 STACY IGEL: Behind the Seams: My new GIRLS line! I have super exciting news for you guys today.....drum roll please...I'm working on a GIRLS(5 to 16) line!! Ahhh! I did an exclusive for Bloomingdales as well as Gilt.com back in 2009 and celeb daughters like Kelly Ripa's daughter seen here on her show and magazines like People were all rocking and covering the Boy Meets GIRL girls line! I've been wanting to do one again since then and everyone has been asking me to bring the GIRLS line back so finally the time has come again! Are you as excited as I am??? p.p.s. Thank you DJ Btween team and DJ Boy Meets Girl® team for working hard on getting the line together and the shoot together with me. Incredible team!